Please read through the following article. It’s lengthy but the Environmental Review is the last chance to stop a large, potentially destructive project about 50 miles from Vancouver. It should not proceed. Raise your voice, make a submission to stop Narrows Inlet power. On Oct. 12, we attended the Open House in Egmont, expecting to be able to provide comments on the NI Holding Corp. proposal to construct a total of six power plants (two on Ramona Creek) in Narrows Inlet. We were very disappointed that no such opportunity was provided. Indeed, we were informed by the Environmental Assessment Office that it was sponsoring the open house strictly for the benefit of NI Holding Corp. Despite the promise contained in the invitation, the EAO advised us that the only opportunity for the public to comment was by e-mail or letter. That a public agency, established to protect the public interest, should actively sponsor opportunities for a private corporation to make its case while simultaneously severely limiting public comment is deeply disappointing. 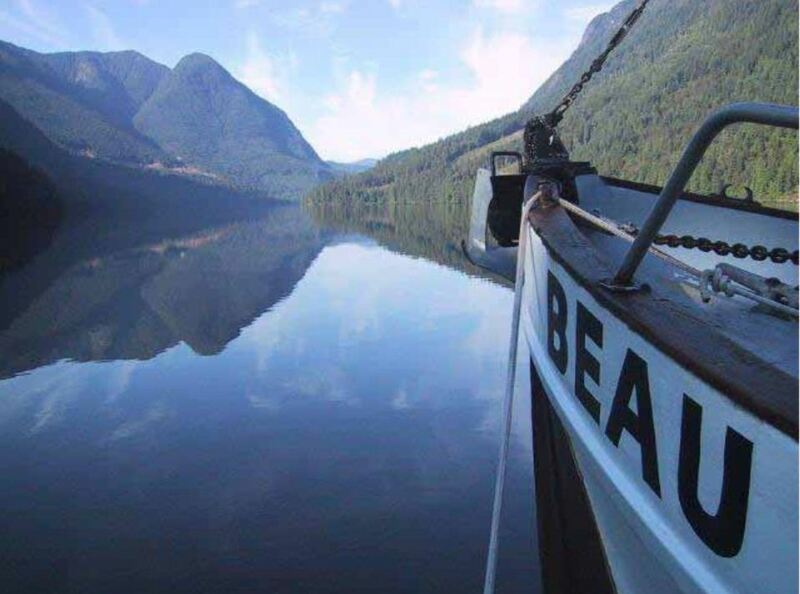 Our disappointment in the EAO is exceeded only by our disappointment in the dismissive attitude that NI Holding Corp. displays towards the many people who enjoy the wilderness experience of Narrows Inlet, and especially towards those who own property in the Inlet. If this project is ever decommissioned, it will be a very long time in the future. In other words, if we allow time for the forests to mature, this “not significant” damage can be reversed in 155 to 180 years. The construction environmental management plans explaining how NI Holding Corp will limit environmental damage are all drafts. Draft plan 2A says the environmental resources at risk, and the location of sensitive areas and features, are identified in Appendix A. There is no Appendix A on the EAO website. There has been very little consultation with property owners who are directly affected by the Ramona Creek / Ramona Lake component of this project. The reports prepared by NI Holding Corp. detail considerable potential damage – undrinkable water, noise, declining property values and more – but the company and its principals dismiss these concerns out of hand. One report goes so far as to say the property owners are not significant because there are so few of them. Where we are is well above their property. They will not even know it’s there. His statement is plainly not correct, and contradicted by the reports submitted to the EAO. Appendix 18 – Noise Baseline Assessment, notes that noise levels at the Tyson Creek powerhouse measure up to 76 dBA. This report says noise levels from the Ramona Creek powerhouse will be 40 dBA at the nearest residence – a lower level to be sure, but otherwise of little comfort. People do not go to Narrows Inlet to stay in their residences; they go for the outdoor experience. A Cordilleran Geoscience report, based on a helicopter flight over the properties and study of maps, notes that the proposed road to the powerhouse is located on 50% slopes behind private properties. It concludes there is a moderate risk of landslides – and a high risk of sedimentation in Ramona and Barbie Creeks due to the steep grades on the proposed roads adjacent to these creeks. A report by Cunningham and Rivard Appraisals predicts a market discount of 0 to 20% as a result of this project. Again, NI Holding Corp. dismisses the impact on people who have owned property in this area for over 30 years. In its public statements, NI Holding Corp. has exaggerated the economic benefits of this project, and failed to mention or downplayed the economic costs. The Coast Reporter, Oct. 19, 2012, says (presumably on the basis of an interview with Peter Schober who was quoted earlier in the article) that 106 permanent jobs are projected. The company’s own submission says there will be three part-time direct permanent jobs. There is no mention in NI Holding’s reports of the string of rate increases being imposed by B.C. Hydro, at least partly a result of the purchase of unneeded power from private producers. It cost the public $180 million to fulfill contracts with IPPs during the 2012 spring melt – a time when BC Hydro was forced to spill water because of a glut of electricity in the system. Under these contracts, BC Hydro paid IPPs an average of $68 per MWh for electricity that was available on the open market for about $10 per MWh. Paying more for electricity does not stimulate economic activity and job creation. It has the opposite effect. The various reports that have been submitted by NI Holding Corp. in support of its application make it clear that vital fish habitat will be lost. Despite these risks, no on-site habitat assessments have been conducted. At least one report – although it acknowledges more sampling is needed – directly contradicts the first-hand evidence from experienced fishermen who have visited the area. 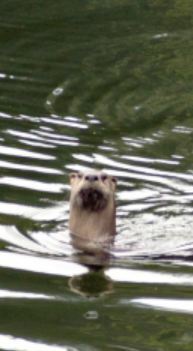 Finally, there is no assessment of how the family of river otters that make their home in the portion of Narrows Inlet that borders Ramona Creek will be affected by the degradation of water quality and fish habitat that the project will cause. Various reports confirm that private power production from Ramona Creek / Ramona Lake will seriously damage water quality, threatening the cutthroat habitat and, potentially, the health of people who depend on Ramona Creek for their water supply. For most of the year, the project will increase Total Suspended Solids (TSS) in Ramona Creek to 12 to 14 times the level at which B.C. Health issues boil water advisories. The dramatic increase in suspended solids and turbidity may have other significant effects on water quality and public health. Another concern identified in the reports is the possibility of acid rock and metals leaching into Ramona Creek. Despite such an assessment being described as “essential”, no on-site assessment has been conducted. The proposals put forward to deal with these issues – public health, sedimentation, potential leaching – suggest that the authors are not familiar with the location of the properties that will be affected. There is no road access to Narrows Inlet. You cannot truck in water. Even if water was brought in, there is no existing infrastructure to store it. 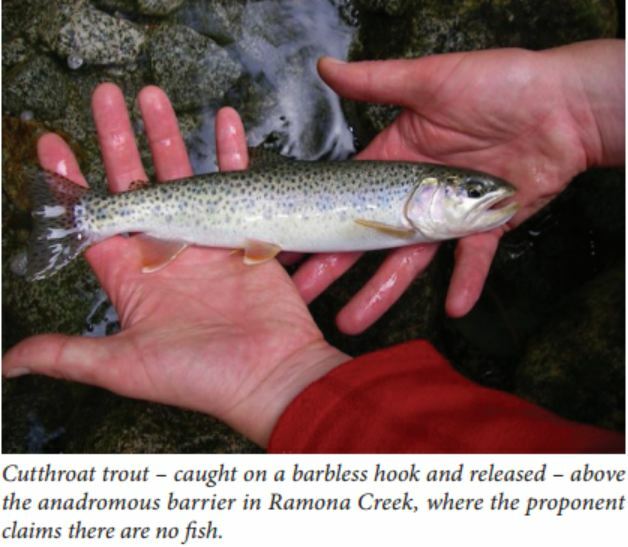 And, of course, providing other sources of water for property owners would do nothing to protect Ramona Creek habitat described as “critical to the health” of sea-run cutthroat. The extraordinary and self-contradictory statements made by NI Holding Corp. regarding greenhouse gas emissions raise further questions about the company’s credibility. Electricity production contributes just 2 percent of the total, or about 1.2 million tons. (www. We don’t pretend to be experts, but given those numbers, it seems a bit much to suggest that this project could, all by itself, reduce British Columbia’s total emissions by 19 percent to 31 percent. In other documents, NI Holding Corp. presents varying estimates of how much the project will add to greenhouse gas emissions. In Part C – Environmental Assessment Methods and Scope (page 5-11), the company estimates that 17,426 tonnes of CO2 equivalents will be emitted during construction. In Appendix 24, Table 1, it estimates CO2 equivalents during construction would be almost twice as much, 30,812 tonnes. Table 2 estimates the emission of CO2 equivalents during operation at 70 tonnes per year. Appendix 22 has a third number. It estimates total emissions during construction will be 135,000 tons of CO2 equivalents, including deforestation of 98 hectares and soil removal. Dave noted that water temperature an issue of concern, citing Ramona where water would be drawn at depth. Dan and Dave discussed the approach of evaluating different scenarios for the assessment. Dan indicated that from his perspective should look at options from a biological perspective as well. Dave indicated that he would not sign off on Ramona at 90 m as a professional. Dave indicated that there are a lot of unknowns and that he has suggested the possibility of drawdown from the surface. Dave noted that there has been some shift in temperature for Tyson but that it is well within allowable limits for salmonids. Dan noted that the Ramona proposal, at 90 m, was for a permanent on average 11 m drop in lake levels for that scenario. Such comments suggest the proponent is more interested in doing and saying whatever it takes to win approval for this project than it is in fully informing the public and meeting its obligations to the public interest. The current proposal is for a drop of up to 45 m in the level of the lake. Narrows Inlet is a magnet for recreational boaters, kayakers, recreational fishing and hunting. 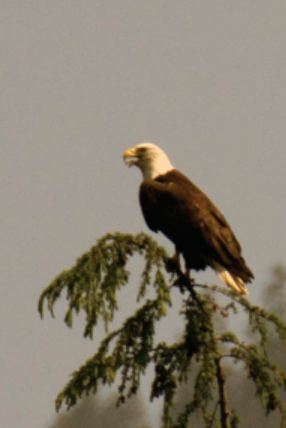 It is home to a vast variety of fish and wildlife. All of this – according to environmental assessments prepared by the company that plans to build five power projects in the inlet – is at risk of “long term” degradation as high quality habitat is destroyed. The proponent dismisses these concerns as “not significant.” The company says they can be reversed once the power plants are decommissioned, 75 to 100 years from now. It’s like saying the thousands of acres flooded by the WAC Bennett dam could be reclaimed if the dam is removed. It won’t happen in our lifetimes. Nor will it happen in the lifetimes of the fish and wildlife that will be affected. 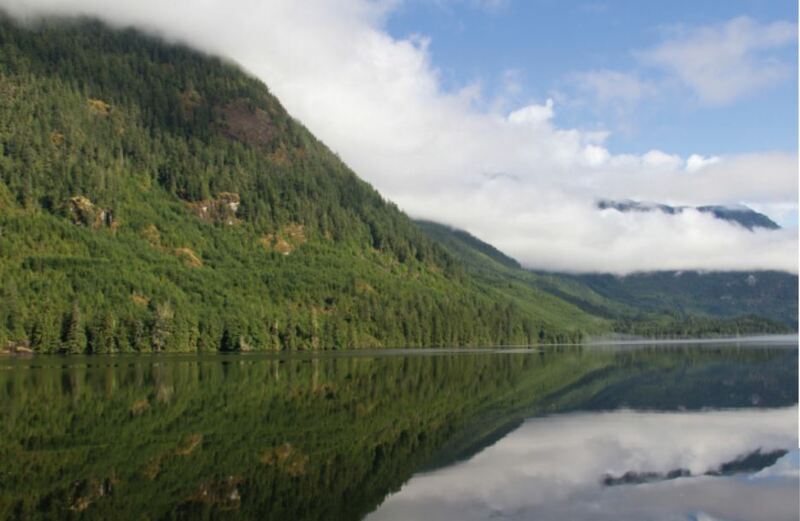 Narrows Inlet is home to Roosevelt elk, grizzly bears, mountain goats, wolverines, mule deer, western screech owls, rare plant species, river otters, pacific salmon, herring, sea-run cutthroat trout, seals, sea lions, and many species of marine birds. Dolphins and porpoises are occasional visitors. According to the company’s own assessment, every phase of the private power project – construction, operation and decommissioning (if that ever happens) – will create long term harm to the habitat that supports all of these species and more. Due to the steep grades on the proposed roads/trails and the adjacency to Ramona and Barbie Creeks the sedimentation risk is considered high. During the construction phase, barges and crew boats will roar through the Inlet 200 times a month, as will float planes and helicopters. The magnificent spectacle of the Ramona Creek waterfall will be visually polluted by a power-house, tailrace and penstock. Blasting and machinery noise during construction, and on-going noise from powerhouses will drive away birds and animals. A beautiful alpine lake – Ramona Lake – will be transformed to a holding pond, and drawn down by as much as 45 meters to feed the powerplant. The proponent’s own analysis says tonnes of sediment from the lakebed, exposed to erosion for the first time in thousands of years, will be too much for Ramona Creek to handle. Water quality will deteriorate, posing a risk to both fish habitat and public health. All of this is especially worrying considering how this company has acted in the past. The company failed to take any action after a huge sediment dump at the existing Tyson Creek site until it was forced to do so by a public uproar. According to the company’s own environmental assessment reports, the potential for damage from fine sediment at the Ramona site is even greater. The Tyson Creek experience is clear evidence of this company’s poor track record in managing environmental risks. Throughout the volumes of reports it has prepared, the company admits that the proposed expansion of its power plants will harm Narrows Inlet for the long-term. It dismisses this harm as not significant, and reversible if the power plants are torn down. In other words, the company’s position is that our great great grandchildren may be able to repair the damage. This project should not go ahead. The expensive electricity it will generate is not needed. It will create wealth for a few, while imposing all of the environmental risks and higher electricity rates on the rest of us. And Narrows Inlet will be damaged for generations. Things that still make you go "Hmmm"
I find it appalling that British Columbia's environmental watchdogs refused citizens the right to comment. What kind of assessment is being conducted if the civil servants are shilling for the private power proponent. Government in this province has been turned on its head! This is downright insulting to the people of British Columbia – as is most of what the BC Liberal government has done. Only three direct permanent part time jobs after all is said and done!!! …and we get screwed on electrcity rates, while the kleptocracy fills their pockets. A perfect opportunity for the NDP to show some backbone, on this and other similar projects, should they assume power. Problem is, Mr Dix et al are mum on this issue. l have little confidence they will significantly alter or reverse Lieberal damge to our economy and our environment. We should put a moratorium on any more run of rivers until a new Government is installed and can look into the details of these projects. The devil is always in the details. This project looks like most other BC Liberal projects, just do it and we don't care what the public thinks. This one looks atrocious. They've sold us a bill of goods. “Run of the River.” Sounds so innocuous. But, this project involves damming and emptying alpine lakes. Like bathtubs, through giant drains. But as bad as this insanity seems what is even worse is that our government and those hired to protect not only entertain this babble but in most cases side with it. What kind of mind beleives that if you remove these invasive structures after their lifespan eveything should just return to normal.God forbid this arguement find it way into our environment and greenhouse gas emmissions. How many good people at Hydro were fired or re-assigned until they found some LIEberal minions to cook the books to make this look like a good deal? And what's the status now, some four years later? Construction is well underway, despite the fact that they cannot meet the original COD (Commercial Operation Date) that was in the original contract awarded for the EPA (Energy Purchase Agreement). In effect, Bennett could have stopped this project completely within legal rights because of this, but he didn’t. The IPP may have to pay some penalties for late delivery, however they are making so much money from this that it is considered a part of doing business. The SCRD (Sunshine Coast Regional District) was completely within their rights to disallow the necessary zoning changes, but they didn’t. There will be a lot of very surprised visitors to the inlet this summer when they see the scale of this “small water wheel” as Andrew Weaver calls it. There have been no obstacles put in the way but the promoters have already cashed out. More power into the system that can be dumped at a loss. Profits for some, losses for the rest of us. It's the BC Liberal way.